Throughout the Greek crisis, all voices in the heated debate have agreed on one point: Classical references make you sound smart. From EU leader Donald Tusk warning of Sophoclean tragedy, to comparisons between Tsipras and ancient demagogues, to the BBC consulting the Delphic oracle, observers of the crisis have been unable to resist tying Greece's famous past to its calamitous present. Classical references are to the Greek crisis what MLK speeches were to the Obama election or Braveheart jokes to the Scottish referendum -- a little on the nose, more than a bit tedious, but if you push a bit harder, possibly the key to understanding it all. No more Parthenon jokes, please. Just as understanding Scotland really does require confronting the mythology of its anglophobia, and the President's soaring idealism really did both inspire and hinder his presidency, so does the legacy of Greece's ancient past really matter in the crisis unfolding now -- just not in the way it first appears. Rather than spicing up politicians' speeches or reporters' copy, classical learning could truly transform today's debate if leaders and everyday citizens engaged with its three pillars: history, philosophy, and literature. First, ancient history is not merely a palette of fashionable references -- to the contrary, the word itself is Greek for "inquiry," the exploration by which Herodotus and Thucydides traced patterns of events and explained the psychology at work behind them. Transformative ideas are proven not in seminar rooms but through empeiria, or experience. 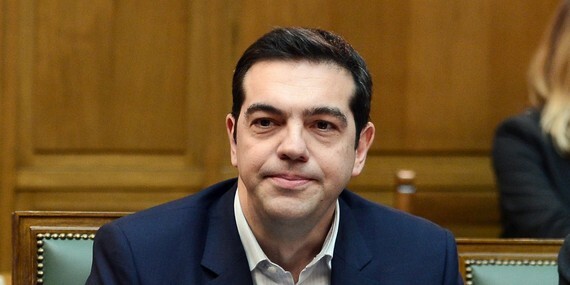 If Europe's leaders truly thought empirically in this debate, their insistence on austerity at all costs -- despite five years of failed results -- would evaporate. 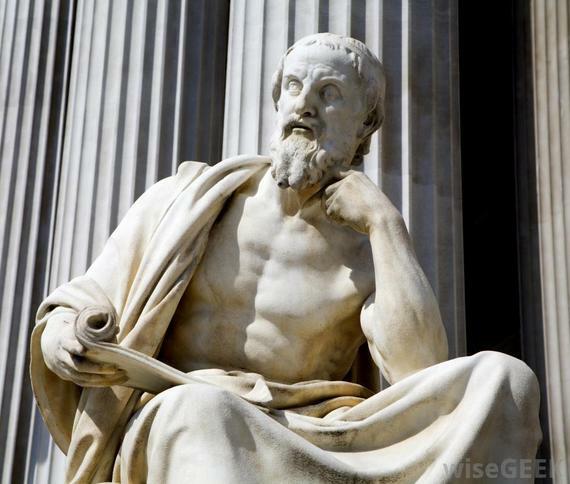 Herodotus: Don't just sound smart -- inquire. Second, classical philosophy is critical not to justify new dogmas with old ones, but as the model for generating entirely new knowledge. Aristotle created the world's first think-tank -- sending students to research the constitutions of 150 cities -- from the conviction that new and better institutions could be conceived. (His result, the mixed constitution, became the substrate of modern democracy.) Europe's institutions are visibly failing, and a bold project like Aristotle's is precisely what is needed now -- not copying and pasting their words, but following their example. Aeschylus: Change minds by winning hearts. Finally, antique literature creates the symbolic language necessary to move hearts as well as balance sheets. 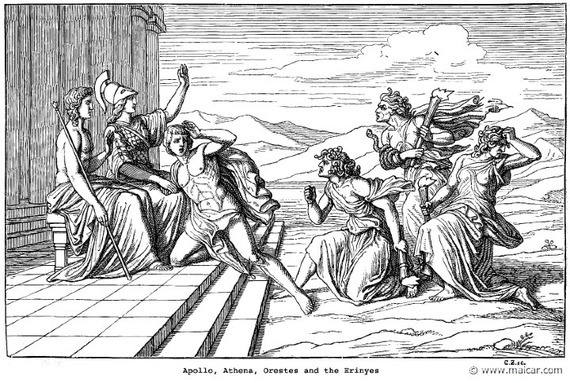 "Tragedy" should not be a word used by rich countries to chastise poor ones; to the contrary, Aeschylus and Sophocles used their plays to reveal truths about power and loss, and the transformation of suffering into wisdom. Most important, plays like The Eumenides are engines of political understanding, remapping our emotional responses in the face of the new and unfamiliar. (See Daniel Mendelsohn's superlative "Waiting for the Barbarians.") In times of crisis, as old orders crumble and new ones form, tragedy is our best path to deeper truth. As the crisis continues to unfold, Greece's ancient past should serve not as fashionable rhetoric alone, but as a deep spur to reflection and progress. Truly engaging with the classical -- not name-checking them for a headline -- could still be a powerful part of the solution as we take lessons from the past to imagine a better future for Greece and for us all.